I am a Spanish photographer based in Hong Kong specializing in humanitarian and social reportage throughout Southern Asia. I have a passion for documenting human rights issues such as minority and gender discrimination, human trafficking, and poverty. I focus on culture and traditions from a human perspective by viewing everything through my lens, and report on the environment issues that impact the community. Photography has given me the strength and confidence to fight for something greater than myself, and it also helps me achieve things that were previously unimaginable. Through photography, I push boundaries and remind myself that I can always do better, as I am my own biggest detractor. To me, photography is not just a profession, but a way to live and view the world. A camera is a tool to capture our present for posterity I feel extremely fortunate and grateful to have experienced and learnt about new cultures while capturing the diversity of humanity. I can hardly imagine my life without photography, it would not be complete. On my travels it is important to me that I go the extra mile to cover my stories. Overcoming obstacles is part of our work but believing that the final goal is attainable allows me to always make the next step on my journey. My hunger and stubbornness to improve, experience and work hard allows me to deliver my best work under most challenging of circumstances. A tribesman discusses how his hair should be cut while sitting on a makeshift barber’s chair. 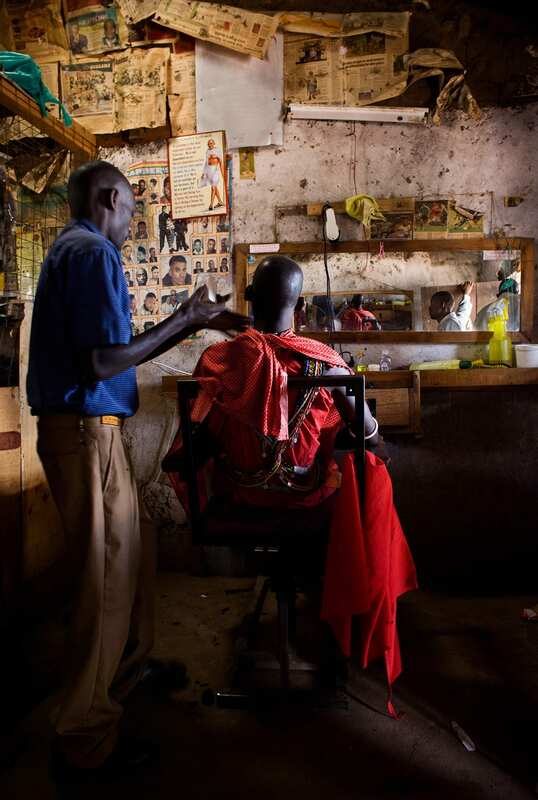 Even though the traditions and practices of the Masai tribes still intact, modern Western concepts are rapidly transforming the once simple nature devoted tribe. 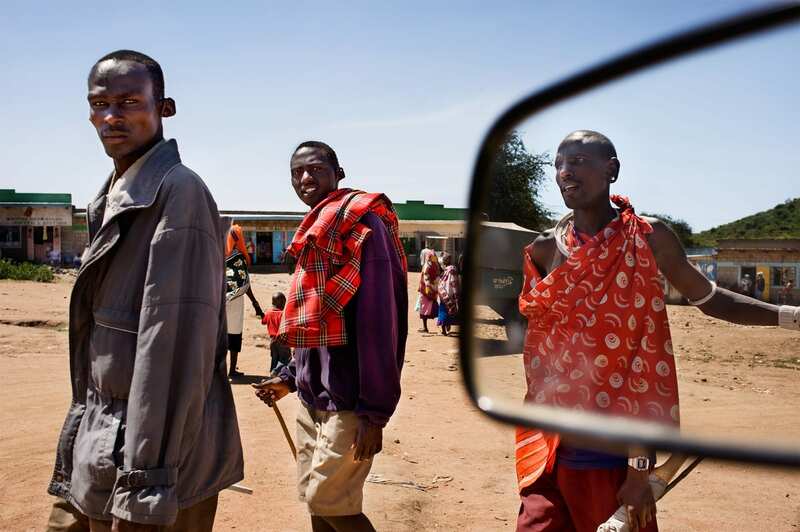 Men from different part of Trans Mara and Masai Mara arriving at Aitong town to assist at the cow market. Modern times have slowly crawled into Africa and the once upon a time men and women in loincloth exchanged their culture for trousers and coats, signs that change is inevitable. 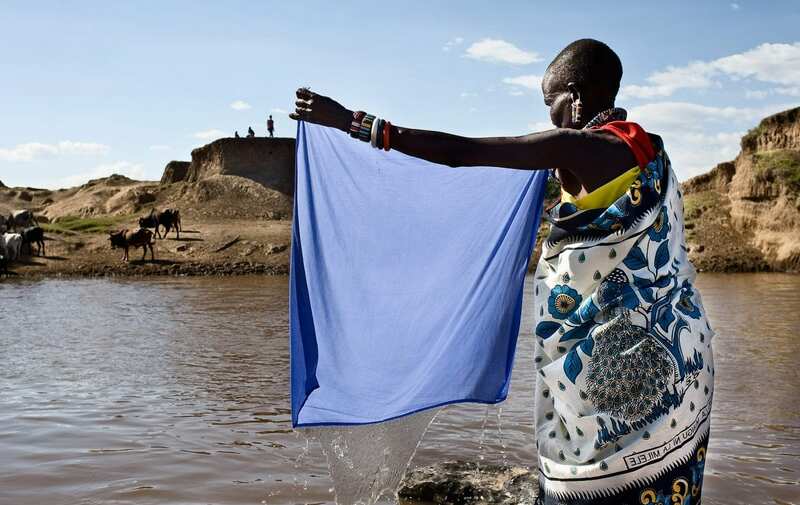 A 40 minutes walk from her village, a woman washes her clothes at the Masai river. On the other side of the river, men bring their cows to drink water. Neighbors are not only friends but also family. 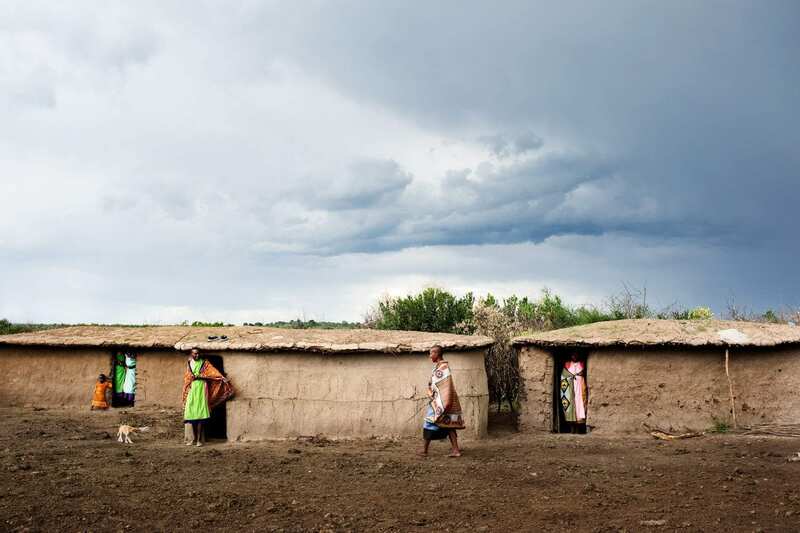 Each person at the manjata (village) helps as much as they can for the greater goal. 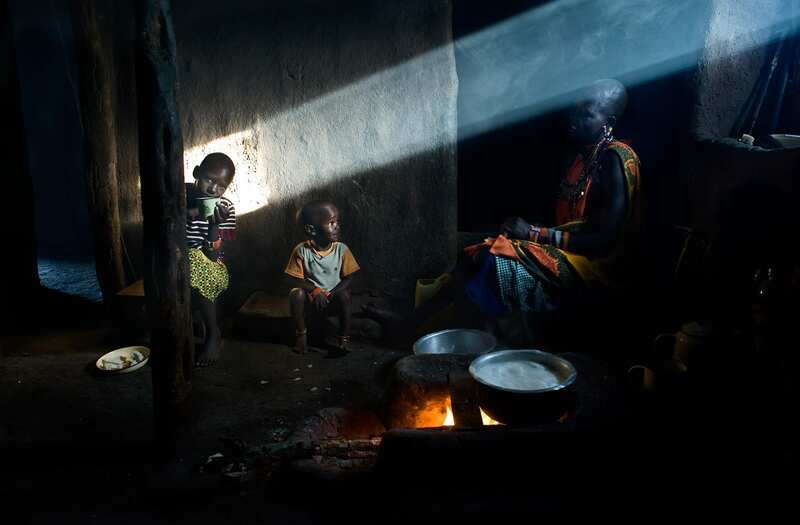 The Masai home is typically made of mudbricks and with a few and small windows, the smoke from firewood creates the streaming of sunlight into a dark home. 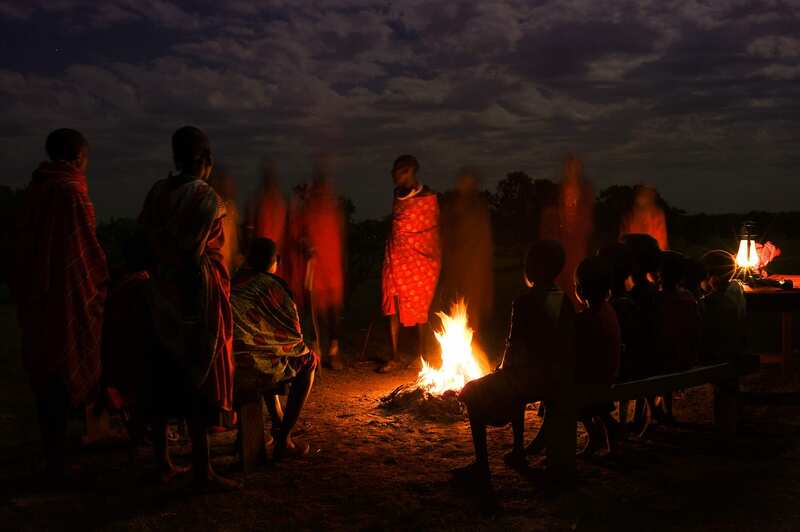 By night, the men of the Masai tribe gather around one single bonfire at the heart of their tribal village. While normally they sing and dance without the presence of children and women, this time was the exception of the rule.